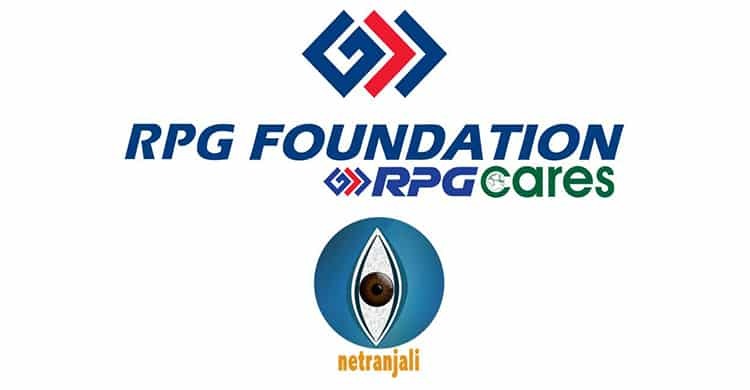 RPG has agreed to partner with Sightsavers in India to support project Netranjali which is a key initiative around offering comprehensive eye care services and school eye health camps to the slum communities of Mumbai, Navi Mumbai, Nasik and/or Pune. This project will be implemented in three phases. The first phase will be addressing eye care issues among slum community in Mumbai, Navi Mumbai, Nasik/ Pune in Maharashtra. In phase 2, the project will include Jaipur district of Rajasthan and Jabalpur district of Madhya Pradesh. In phase 3, while the project would continue in the so mentioned locations but would be further expanded so that it can benefit truck drivers, taxi drivers and other excluded communities. Further, an eye health intervention will be extended to Chhattisgarh or Jharkhand, basis the need and the feasibility study. A sensitization activity would be conducted to mobilize the population to understand the need for eye care thus leading them to access the services provided by the mobile van through the eye screening camps. These activities could include street plays, distribution of IEC materials like newspapers, posters, banners in local languages, etc. A basic eye screening camp of shall be conducted in order to screen the mobilized population. A mobile van parked at a central location in the selected communities shall screen patients for basic eye screening to understand the eye condition and accordingly provide services, which may include dispensing spectacles, prescribing secondary or tertiary eye treatment at the base hospital. The clinical team, from the identified hospital partner, shall conduct a refraction check on the identified population requiring secondary or tertiary eye care. This would require identified patients to travel to the base hospital for prescribed treatment. The identified cases among the population requiring spectacles, shall be dispensed spectacles as per the need, post the refraction activity. Children identified with a need for secondary or tertiary eye conditions shall be referred to the identified base hospital for further treatment. The hospital team shall be responsible for the follow ups for the statistics and a report on the primary/ ground activity; and shall produce a report by the end of every month to Sightsavers.